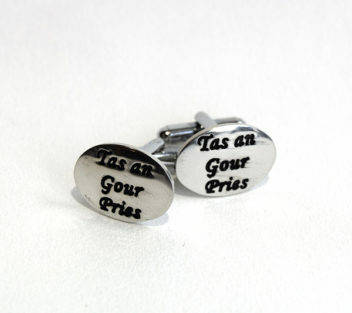 Cornish language T-Bar pewter cufflinks. Tas An Gour Pries engraved in contrasting black to centre. Presented in a velvet lined black gift box with Cornish/English translation. Perfect Wedding Day gift for Dad!